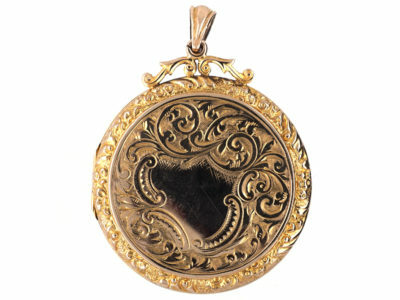 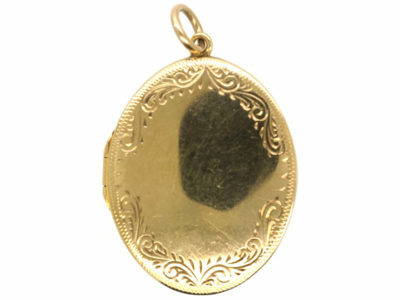 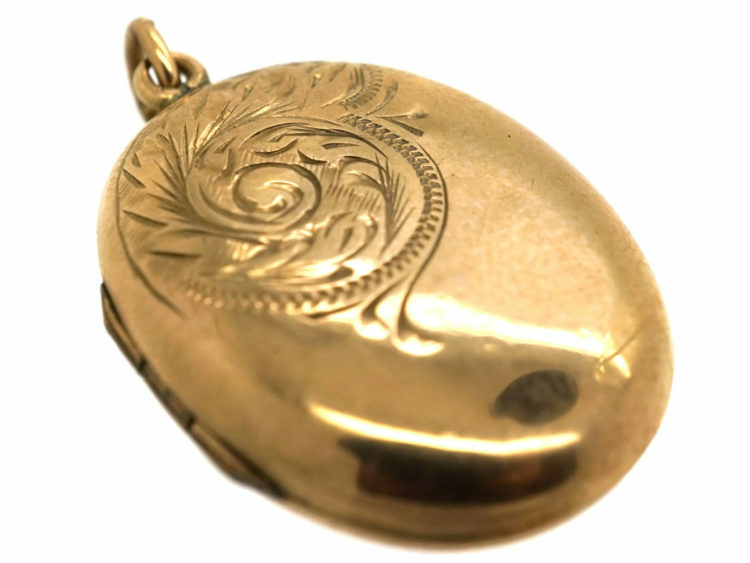 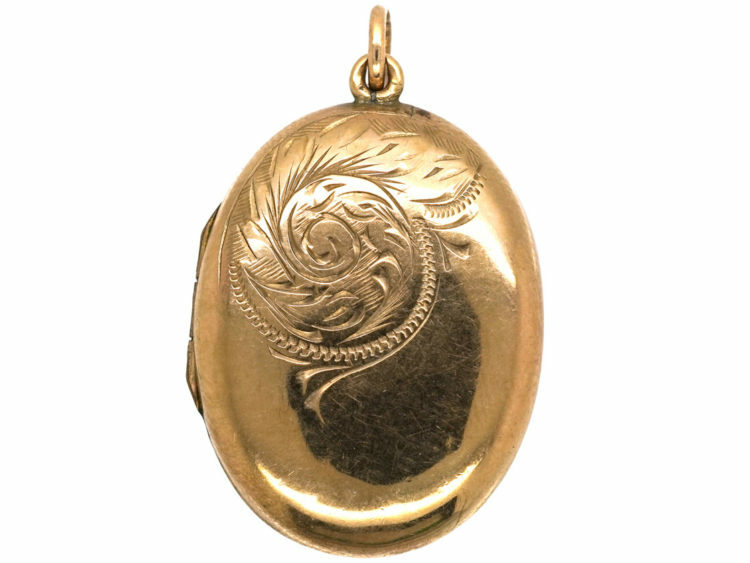 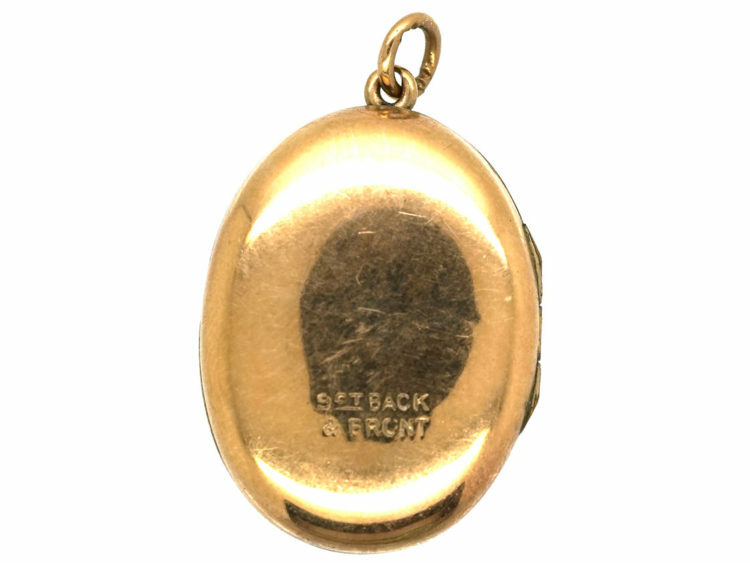 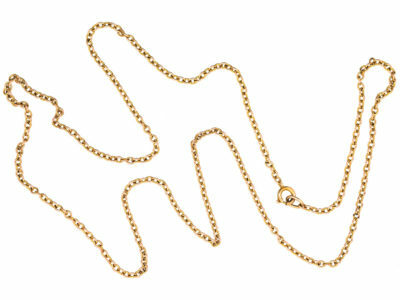 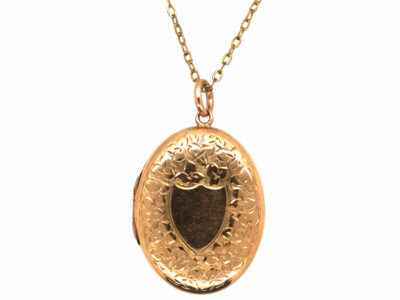 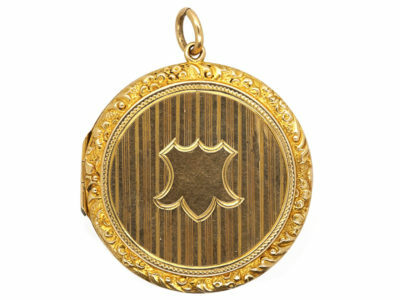 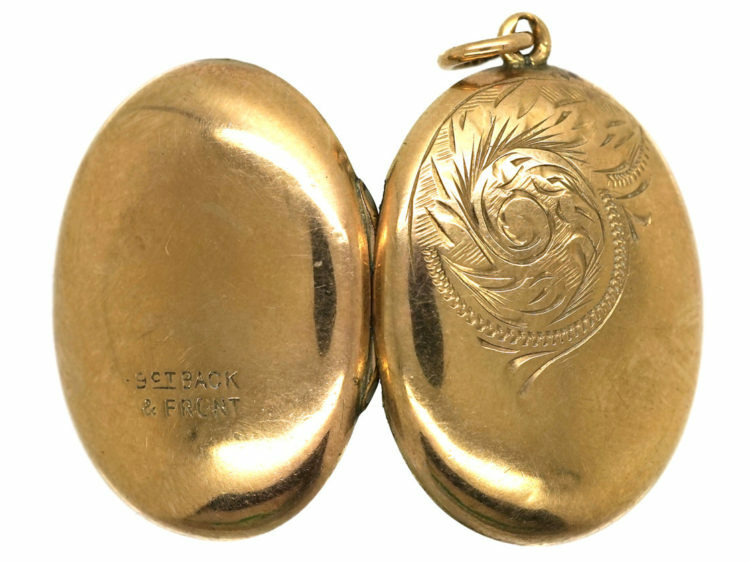 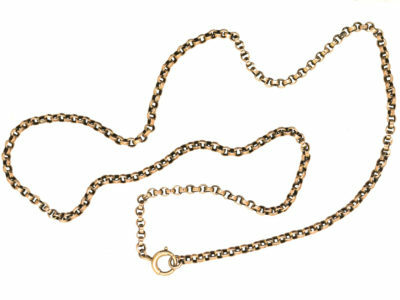 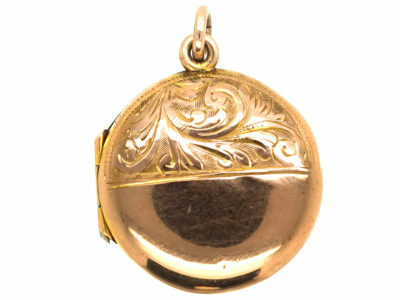 A smart oval shaped locket that has been partly engraved on the front with floral detail. 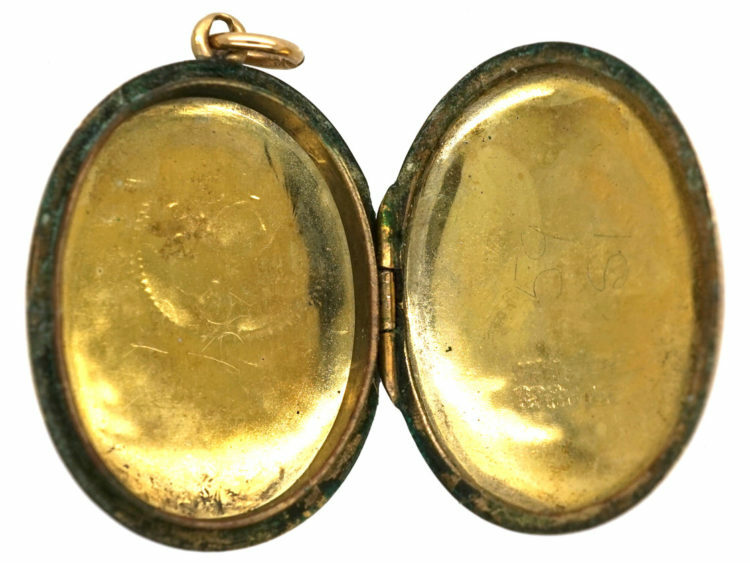 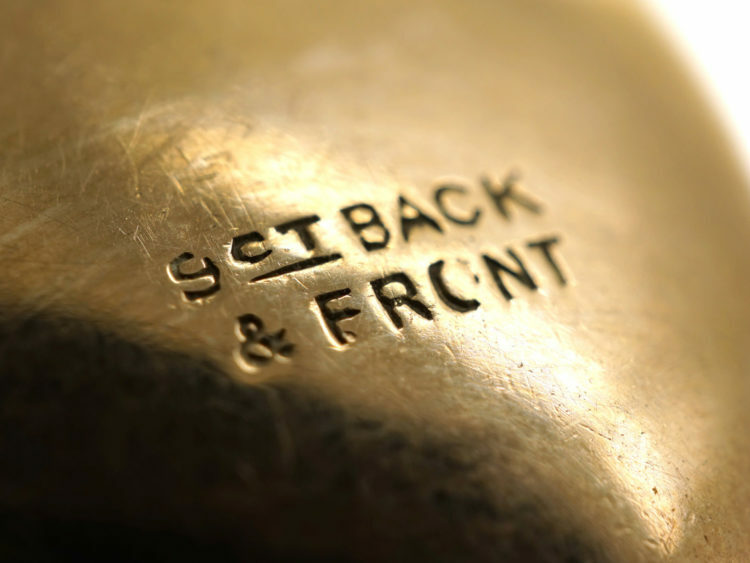 It is 9ct back and front which means that the hinges and inner rims are metal. 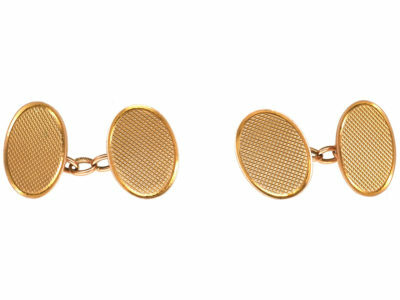 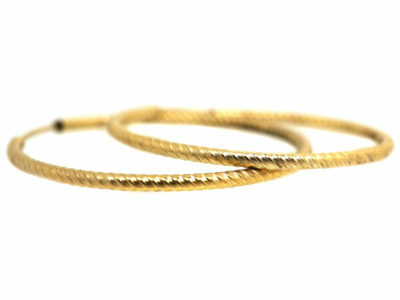 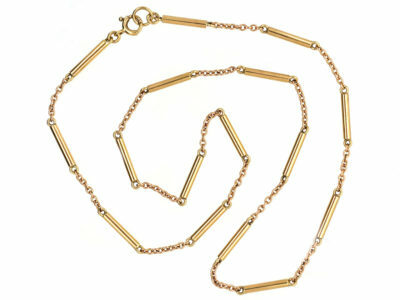 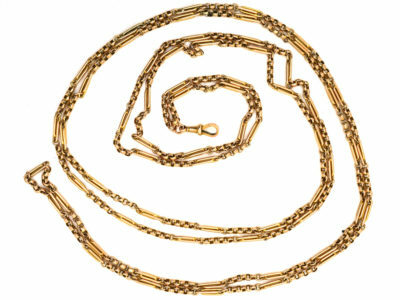 The other parts are 9ct gold. 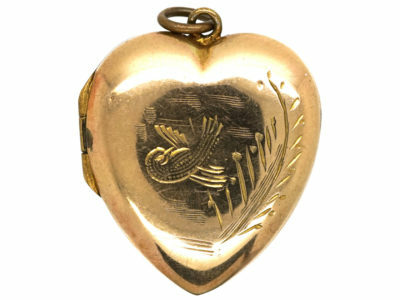 It was made circa 1920.